Yeah, everyone who goes to the cons gets it, and by golly, Radcon had a virulent form this year. From what I hear, the evil thing we all got was Norovirus, which according to my finest rumor sources, more than 65 people got it and at least 3 folks ended up in the hospital. Not something you want to remember a con by, for certain. I and all my friends and authors were sick after Radcon. If it weren't bad enough, I spent the con fighting a migraine that just wouldn't quit. Then, the Norovirus hit on Monday after the con. Despite all this, Radcon was a good con this year, but it always has been. My myopic view of the con centered on Sky Warrior Books and our room party, hosted by both Patrick Swenson of Fairwoods Press and Sky Warrior Books. In the end, I got to chat with a lot of people and even got to taste some very weird jalapeno mead. Our writing panels were well attended and I think we had a lot of people there. One of the funniest things happened where a very well meaning friend asked if they could get me anything for my migraine, because "it's a con, you know, and we can get damn near anything..." Koff. Uh, I declined. I did have some pain medications for my teeth that I used for the migraine that helped. While sick, I spent a lot of time with emails and sleeping, but not sleeping while reading emails. I went through my submissions and cleared a goodly portion out, one way or the other. Some I asked for novels; other rewrites. Others, I'm getting full novels to consider. 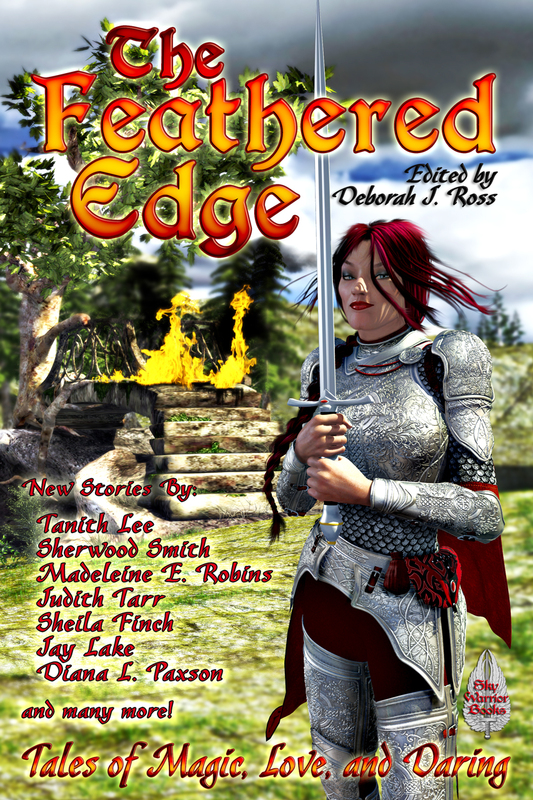 I got The Feathered Edge: Tales of Magic, Love, and Daring into trade paperback finally. So, even though I'm sicker than a dog -- why are dogs always considered sick? -- I am persevering. Now, if we can just find a cure for con crud, we'll be all set. Today Only -- Valentine's Day Special! 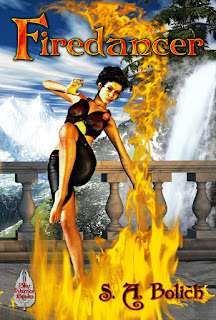 Free copy of Firedancer! Forgot to get something for your sweetie this Valentine's Day? At Sky Warrior Books, we love books and love our readers. So, today only, we're giving away Firedancer by S.A. Bolich. 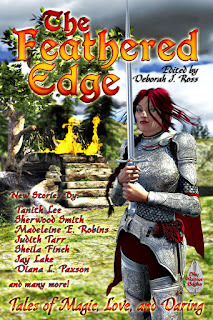 Check it out an get your own Kindle copy! Don't have a Kindle? There are Kindle apps for your phone, iPad, Android tablets, and your computer. Volunteer to Give Away Books on World Book Night! I just read about World Book Night 2012, and it's an awesome idea. WBN is looking for people to give away 1 million books to light readers and non-readers on April 23, 2012. You'll need to register to become a book giver, and if chosen, you will be given 20 books to hand out to people. The books are supplied through donations and are given to you free. You do not pay for anything. Make a difference. Get people to read. I've signed up. I hope you sign up too.